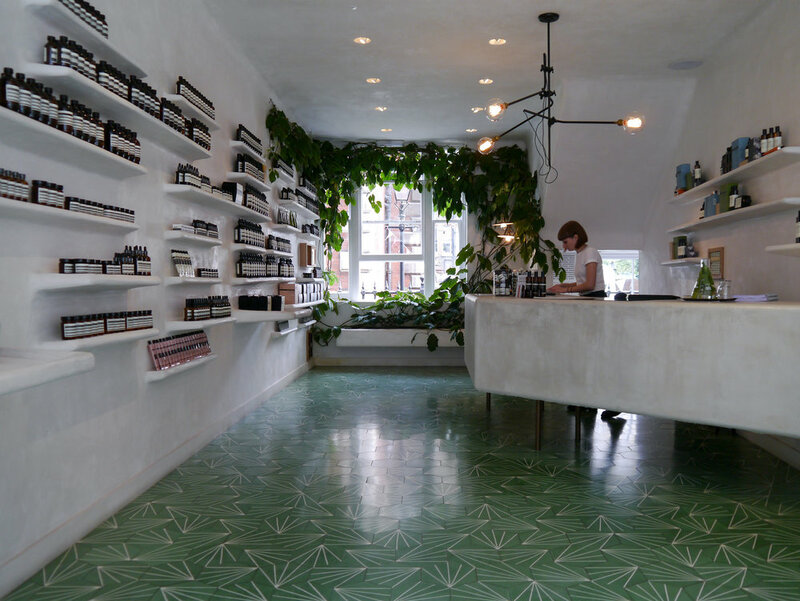 A cult beauty brand with a unique approach to design and skincare products. Aēsop don't really do advertising. There are none of the usual celebrity endorsements here, instead simply relying on recommendations, word of mouth and the quality of what they do. Founded in 1987 in Melbourne, Aēsop, their love of literature pervading the brands products and stores; you can find quotes from Dorothy Parker to William Faulkner on the packaging; has always had at the core of the brand a desire to give you something you enjoy using. Their aesthetic, packaging, much famed on Instagram and social media, matters, but the contents matters more. Their products have taken on a cult status, much sought after, becoming a staple to rely on. The Moroccan Neroli Shave Oil and Serum are my favourite products. Considered, is a word that always leaps to mind when talking about Aēsop. Intelligent sustainable design extends to every aspect of their business. The belief that well-considered design improves our lives. 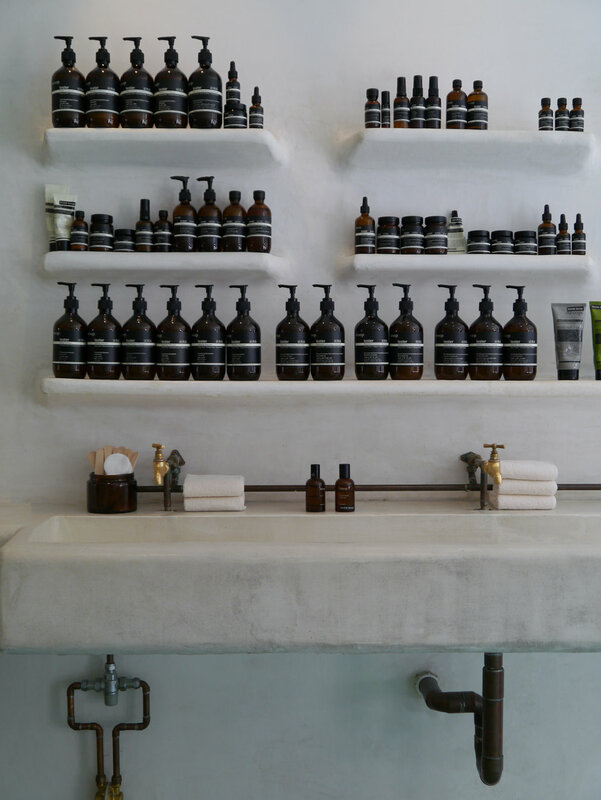 No two Aēsop stores are alike, each unique in their own way. You either notice their stores and products or you don’t, if you do then you are the kind of customer they are looking for. The new store in Covent Garden, their sixth in London, designed by Ciguë the French design studio, created a fresh crisp shop. 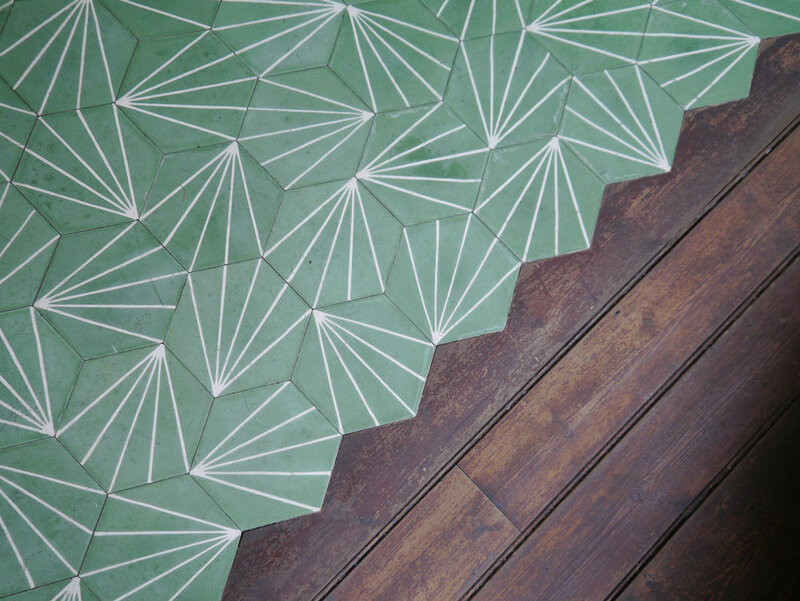 The floors are lined with vivid green geometric Moroccan cement tiles, like emeralds in the light of the white lime and plastered walls. Moulded shelves, the counters and sink, continue the white, while the functionality of the copper tap-ware and birch joinery stand in welcome relief. 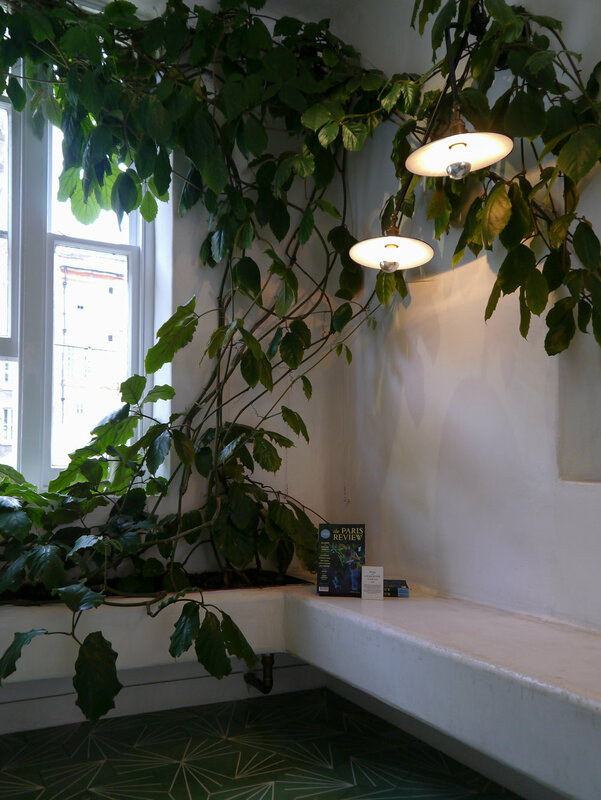 The cascading foliage of indoor plants at the back of the store, frames and echoes the gardens of St. Paul's Church seen through the window. 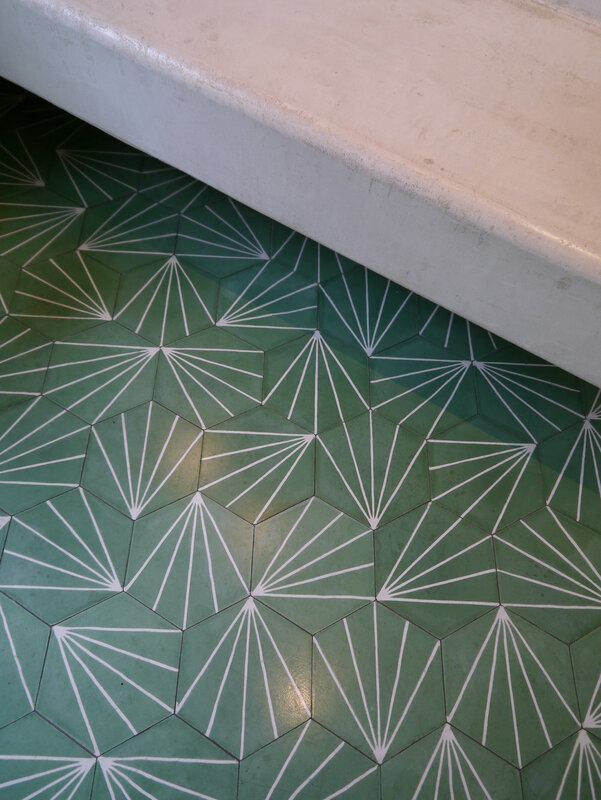 The consistent use of materials and colour create a purity of design, utterly fresh. 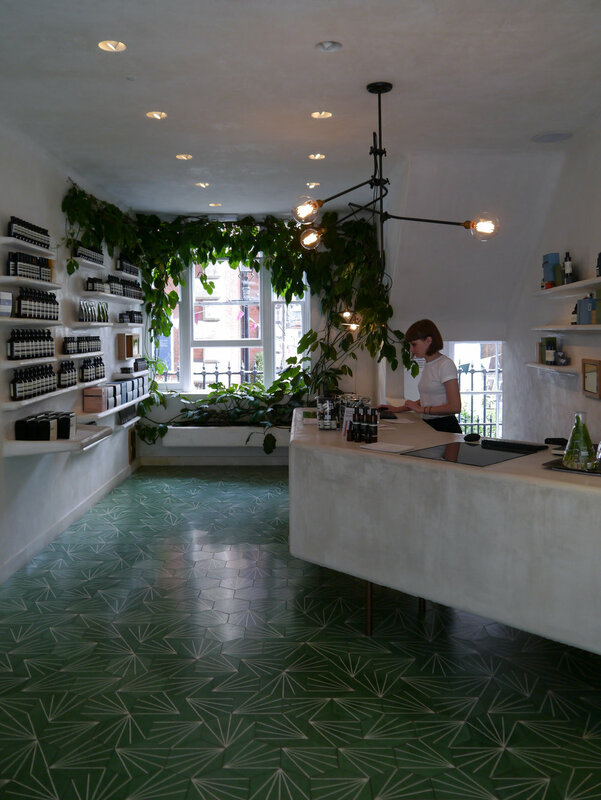 In a way everything Aēsop does, shines a light on its independent spirit and passion for quality, thats what makes it so good, from start to finish.